The situation of the world's forests is more worrying than ever. 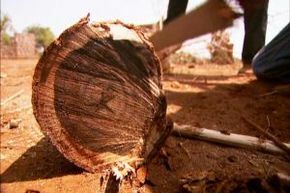 It is estimated that over three quarters of virgin forests have already disappeared and those that remain are disappearing at the rate of several million hectares per year. As well as compromising humankind's quality of life and biodiversity, this situation is also hastening global warming. As a result, we must reverse the trend, starting from today, to save the remainder of the world's forest covering and even restore what has been destroyed. To achieve this, we must find new sustainable methods of forest exploitation and management, as well as educating people about the importance of its preservation. We all have a role to play in this wide-scale reconstruction.